Being Brazilian wasn’t the only thing that bonded Rodrigo Baer ’07, Moises Herszenhorn ’08 and Pedro Melzer ’07 as Kellogg students. In addition to entrepreneurial backgrounds, the three friends shared a passion for venture capital and the potential it has for changing their country. Recognizing how difficult the Brazilian market is for startups, the three shared a vision for creating a VC fund that took a different approach, working closely with portfolio companies to foster innovation. Three years out of Kellogg, they chose to set up shop in a warehouse, wanting a physical space where their portfolio companies could work and receive advice and support from the fund. Melzer left his position as world wide revenue manager – online store at Apple in 2009 and used his Bay Area connections to raise money for the fund. After about a year, Baer and Herszenhorn joined him in São Paulo to launch Warehouse Investimentos in 2010. With experience at McKinsey, Pampa Capital and GKDS Investimentos, Herszenhorn was the analytical lead dealing with strategy. Baer’s experience with retail chain Droga Raia’s delivery service startup, Aurora Funds and McKinsey and his interest in technology trends made him the perfect lead for sourcing. "We knew there was a huge opportunity to be one of the pioneers in the venture capital space in Brazil." Their innovative approach paid off. Warehouse has completed deals valued between $1 million and $6 million each with six digital and green tech companies, including online food delivery company iFood, a market leader in Brazil’s 10 largest cities with plans to expand to the rest of Latin America, and Byogy, a biofuels company focused on transforming ethanol to bio jet fuel. After realizing their goal to successfully adapt a VC model to the Brazilian market, Baer and Melzer decided to leave the fund in Herszenhorn’s hands and begin new ventures in the VC space. Melzer is managing director of eBricks Digital Early Stage and Baer is setting up a new early-stage fund focused on Brazil. They remain shareholders and check in with Herszenhorn, who serves as managing director. 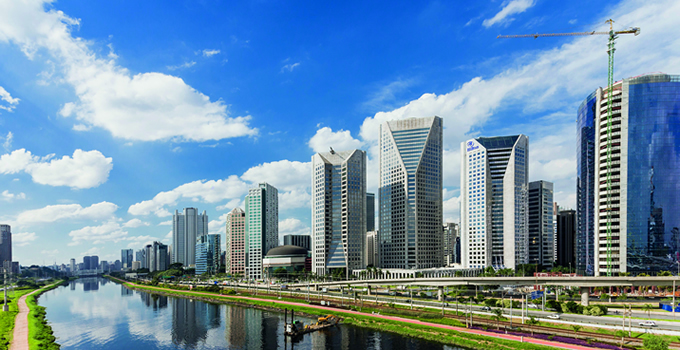 All three agree that Brazil holds incredible opportunities for investors, but it’s not the place to come if you’re looking to make fast returns.